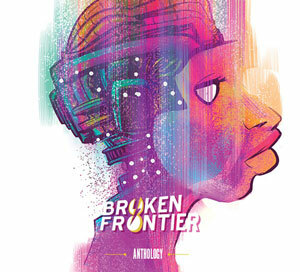 BROKEN FRONTIER AWARDS – BEST PUBLISHER WINNER! 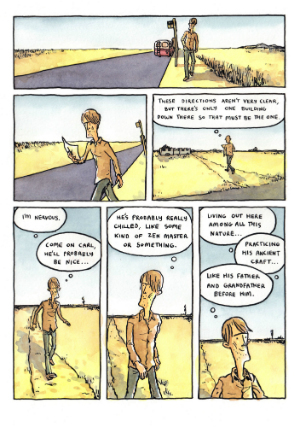 Existential angst, weary fatalism and a casual sense of nihilism… all qualities that have attracted me to the comics of Alex Potts over the years. 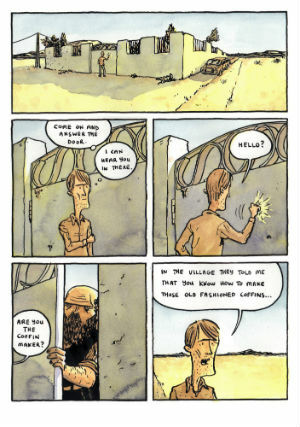 A regular presence on the London small press circuit through both his self-published comics and his contributions to anthology projects like The Comix Reader, Potts came to far greater attention three years ago when his one-shot comic A Quiet Disaster was picked up by Avery Hill Publishing. 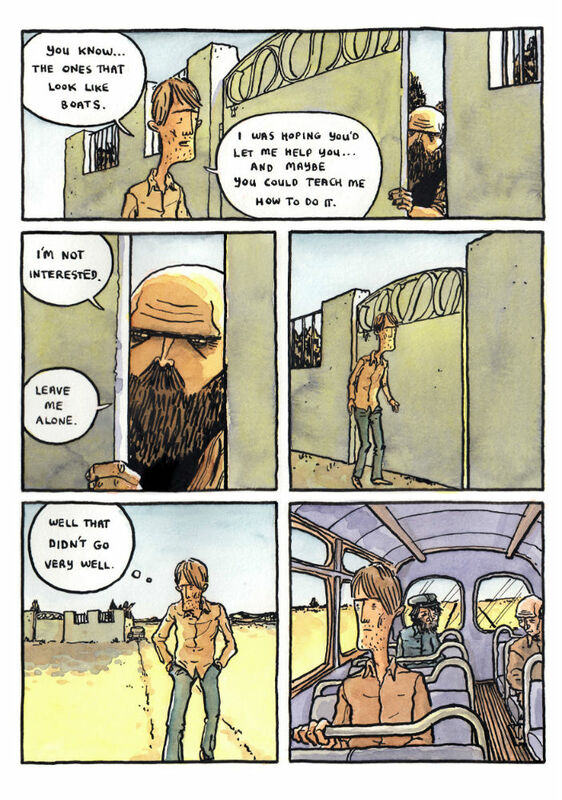 The end of last year saw AHP publish the first longer-form comics work from Potts, It’s Cold in the River at Night, another offering from the artist that steadfastly defies easy categorisation. In an unspecified area of Western Europe Carl and Rita – a couple whose relationship seems to be irrevocably unravelling around them – have rented a house on stilts situated on a river while she finishes writing her dissertation. 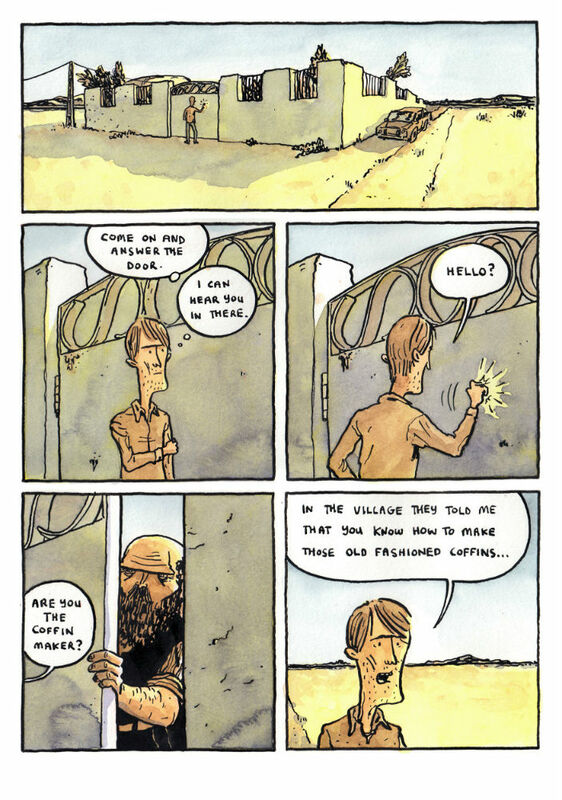 Looking for some sense of meaning in his life, and an escape from the realities of his day-to-day existence, Carl enters into an apprenticeship of sorts with a local craftsman who builds the traditional boat-shaped coffins that are specific to the area. As things continue to deteriorate between him and Rita, their overly attentive landlord makes his presence felt, and his coffin-building mentor’s contempt for him becomes all the more obvious, Carl’s attempts to find purpose become all the more pitiful and self-defeating. 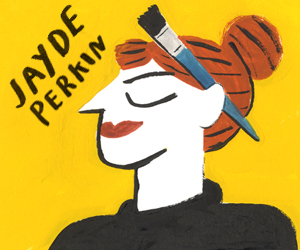 Alex Potts has a knack of providing the reader with protagonists who are neither sympathetic or likeable and yet still somehow connect with the reader regardless. Carl is an objectionable and immature man whose self-obsessed pursuits and oblivious lack of awareness on how his behaviour impacts others underline his inherent inadequacies. And yet for all his selfishness there’s still something in his quest for meaning, for finding his place in the world, that resonates with us. 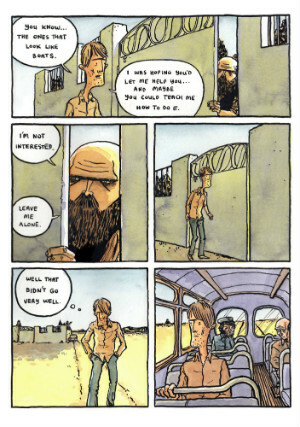 And it’s that feeling of recognition, that sense of shared experience regarding one of life’s most fundamental yet often unattainable goals, that make this bleak psychological drama such a compelling read. It’s almost as if we take comfort in Carl’s inability to improve himself as he tries to win the coffin-maker’s approval; that his lack of growth feels universal and his secret shame somehow validates our own existences. 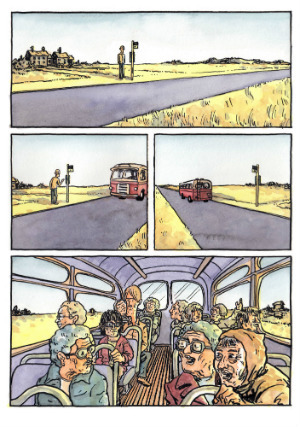 Our morbid fixation with this curious character will culminate in an allegorical denouement as desolate in conclusion as the preceding 100 or so pages. If this all sounds stark to the point of oppressiveness it’s also worth noting that It’s Cold in the River at Night is also imbued with Potts’ trademark dry humour – although in this case it’s perhaps dry to the point of desiccation. 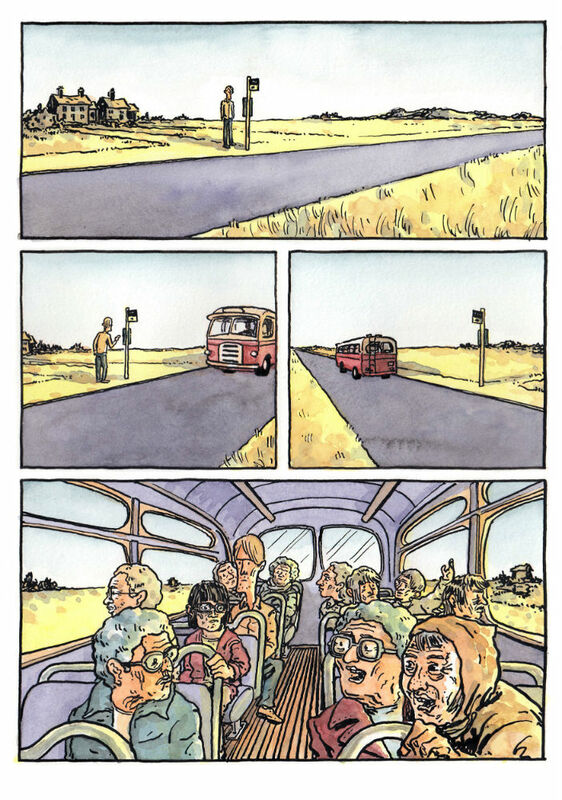 His art in its own quiet, subtle and subdued way is highly expressive, particularly in the stance and body language of his characters. Carl’s often disaffected petulant posing embodies his worldweariness and lethargy, for example. But it’s the manipulation of time and a subversion of the sequential part of “sequential art” in the book’s finale that shows Potts at his most inspired. With its distinctive location and a sense of place that echoes the solitude of its cast both literally and spiritually, It’s Cold in the River at Night is a book where location, characterisation and visual style all complement one another to great effect, emphasising the book’s themes of isolation, insecurity and purpose as they weave in and out of each other, and eventually converge. Potts doesn’t provide straightforward resolutions here and is happy to leave his readers to find the meaning in his work for themselves. 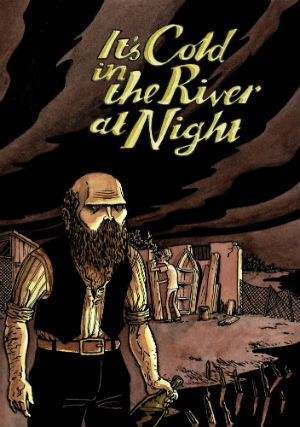 It’s Cold in the River at Night is all the more compelling a read for that creative decision. 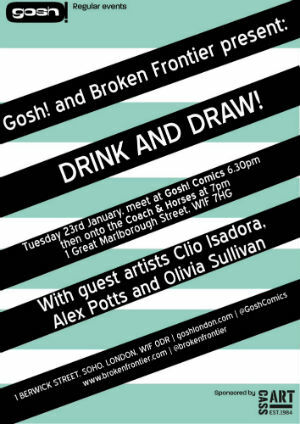 Alex Potts is a guest artist at the next Gosh! 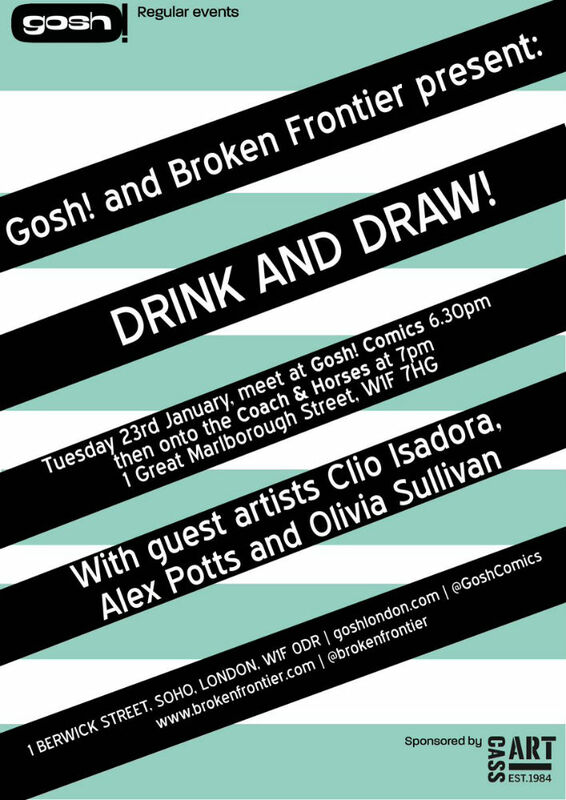 Comics and Broken Frontier Drink and Draw on Tuesday January 23rd. Full details here.